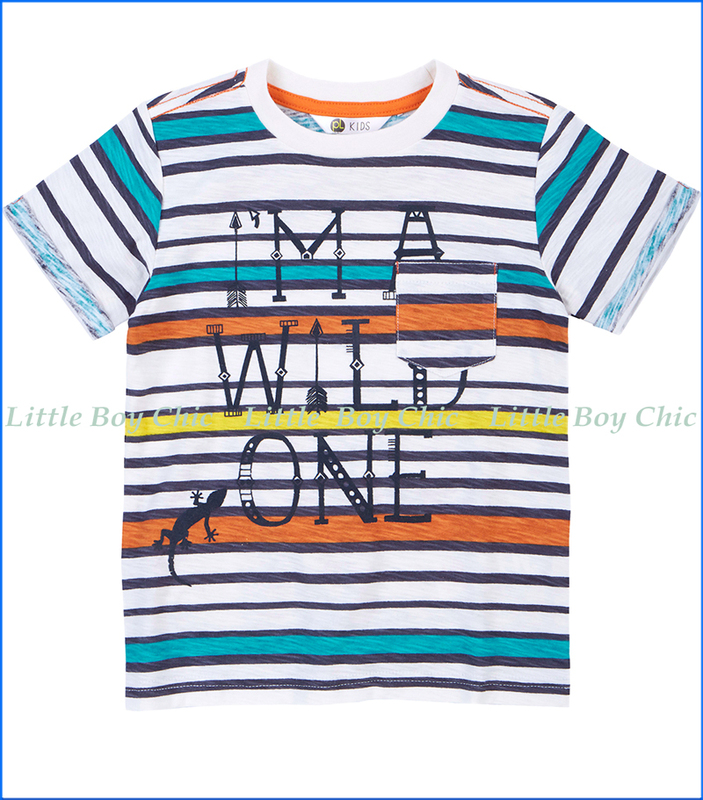 This short sleeved striped t-shirt by Petit Lem has a gorgeous southwest color scheme. 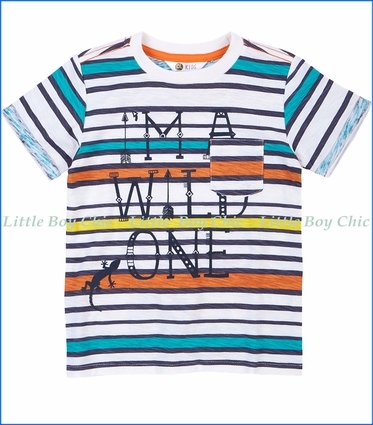 "I'm a Wild One" printed along the front. Crew neck. Left side front pocket.